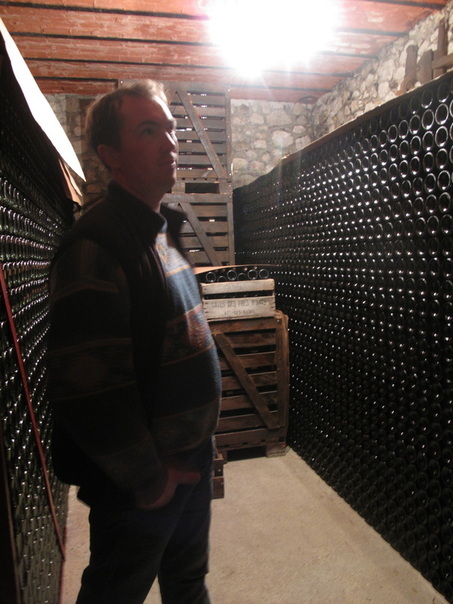 Domaine Dupasquier — MFW Wine Co.
David Dupasquier is a fifth generation winemaker at this ultra-traditional domaine. He and his sister Veronique run the domaine, but their Father Noel is still very much involved in the vineyards and in the cellar. The vineyards are located in a southwestern lobe of the Savoie close to the Rhône Valley in the town of Aimavigne, home to the incredibly steep "Marestel" cru, the most prestigious vineyard in the area. The vines benefit from steep, sun-drenched slopes, primarily limestone soil, and the cooling effects of Lake Bourget. David works these vineyards with a tractor and by hand – the Marestel vines entirely by hand, as it is too steep to work with a tractor. Plowing is done once per year for every other row as David believes that the biodiversity this leaves in the vineyard is critical for the quality of wines. Harvest is by hand and clusters are hand selected. The word “traditional” invariably gets used when Dupasquier’s wines come up in conversation. There are many reasons for this, one being that the wines see quite a long period of aging in old, neutral barrel and in bottle before release. In other regions, this type of regimen might not be so unusual, but it certainly is in the Savoie, where the typical wine is fermented with added yeast and vinified quickly in stainless steel. This brings us to another aspect of the Dupasquier’s traditionalism: all the wines are fermented with native yeast, and even in the coldest years, they don’t inoculate. The style of these wines absolutely reflects the place, as well as the vineyard and cellar work. There’s a warmth and ripeness to the wines that calls the Rhône Valley to mind, yet with freshness, acidity, and cut reminiscent of the Savoie.